Submitted by Alexander Briones on Mar. 25, 2019..
90 out of 100. Incorporating 90+ ratings and reviews. This guitar bears the name of Grover Jackson and Randy Rhoads, the same two who helped kick start this company. 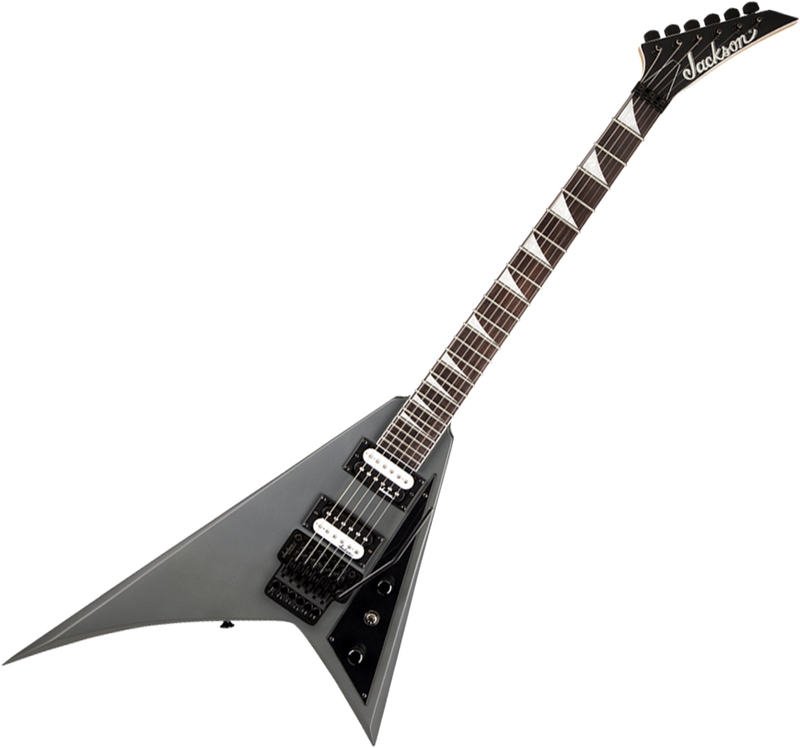 The asymmetric V shape of this guitar was co-designed by Rhoads himself, which gave this instrument a distinct shape that appeals to many rock guitarists. All the shred features are available in this budget friendly instrument, including a 24-fret fast action neck, twin high-output humbuckers and a Floyd Rose licensed tremolo. Most of the positive remarks point to the JS32 Rhoads' great balance of function, style and budget. Giving guitarists an inspiring and distinct looking alternative to the typical guitar shapes, while keeping quality and cost at a reasonably good level. The guitar's tone also helped it receive most of its accolades, both beginners and experienced players found the biting sound to be a fitting complement to its appearance. When it was previously selling for just under $300, a lot of reviewers found the it went beyond their expectations, and even those who had something to complain about were still often happy with their purchase. With its distinct shape, there are a few customers that found the weight balance and contour of the body to be awkward. There are a few who found the fit and finish to be lacking, while others found the sound to be lacking in punch and cutting power. This workhorse worthy guitar is highly recommend for rock guitarists who are looking for a standout instrument that's not too expensive. The JS32 Rhoads was on our recommended list until we performed a detailed review of solidbody guitars between $200 and $500 in March 2019. At that time we found there were more highly rated options with humbucking pickups to recommend and you can find them in our guide to The Best Electric Guitars Under $500.